How's It Sounding? : Have you Heard the Wu? Have you heard of Watson Wu Studios? Well, if you are interested in the art of field recording, then you should have. 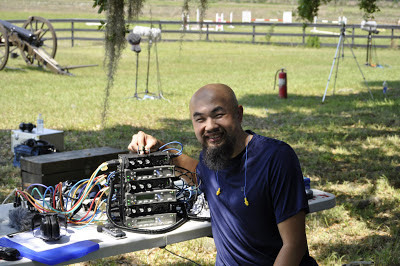 Since this blog is about audio for film, TV, and video games, then why not talk about someone who does that for a living? This is a microscopic list of what he has actually done. So why am I telling you about this guy and his company? Because he’s the man. It’s as simple as that. His start was the same as mine is now. He enjoyed movies and video games growing up, and had an ear from the audio in them, as do I. He worked his way up to get where he is today to be recording million dollar cars and arsenals of military weapons. This is definitely someone to look up to. So what sets him apart in the industry from others? His location actually plays a good part of it. Being in Florida there are lots of cars, and lots of guns. The owners of such items are usually willing to let them be recorded. This gives him the upper hand for contracts that require such audio. Of course his skill and attention to detail have a little something to do with it too. As we all know, without people like this and the field recording industry, video games, TV, and film would not be anywhere close to where they are now. On a side note, it’s worth mentioning his branding. It’s his face. Let’s be honest, he has a very distinctive appearance, so why not take advantage of that? He did, and I think it’s one of the greatest marketing schemes I have seen. I greatly encourage you to check out his website and YouTube channel. Don’t forget to Tweet him and let him know Dylan Benson sent you! 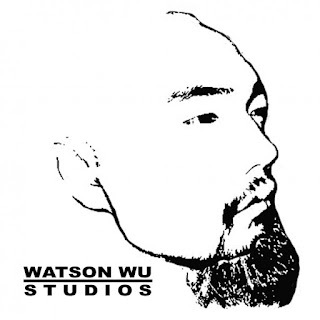 So to answer the question of the title of the post: Have you heard the Wu? Take a look at his credits. Chances are you have indeed.